Continuing my explorations with charcoal. 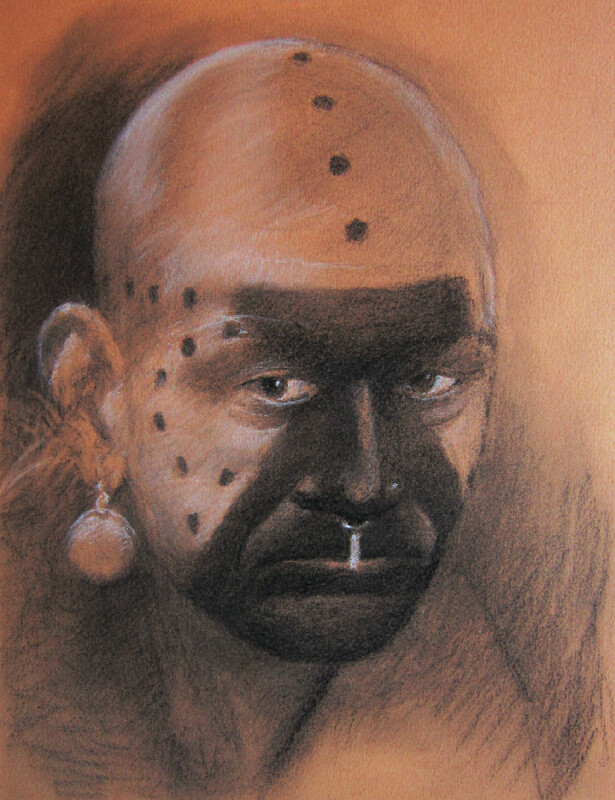 This portrait is based on a photo by a facebook friend, taken at a colonial reenactment at the Wolf Creek Grist Mill in Loudonville, Ohio. Judging from some of the photos I’ve found online, I’d like to visit the mill the next time we are in Ohio. I’m very much in a learning mode with charcoal, and I suspect I’ll have to try some different paper surfaces to get exactly what I want in a portrait. This one was a fun challenge. Wow, I should check comments more often! Thanks for the honor!